Greg: Okay Jason, we’re back. Last week, maybe you left people with a little bit of a cliffhanger. We were talking about the ten best things, or maybe not the best, but ten things that we need to focus on when we’re building a new kitchen, and we got through five items. Apologies to all the listeners, but we’re back and we have five more to go. Number six in our list of ten. Jason: That’s right. Everybody on pins and needles no doubt. The last five must-haves in a new kitchen. Again, in no particular order. We’ll start off with number six. We touched on this a few weeks ago, but one thing I really like folks to think about when we’re designing a new kitchen is an appliance garage. Some people may have horror visions of those accordion-style lift-up prehistoric things in kitchens. Greg: Why are you looking at me? Jason: Well, you do have an older home. Greg: I do. I do. 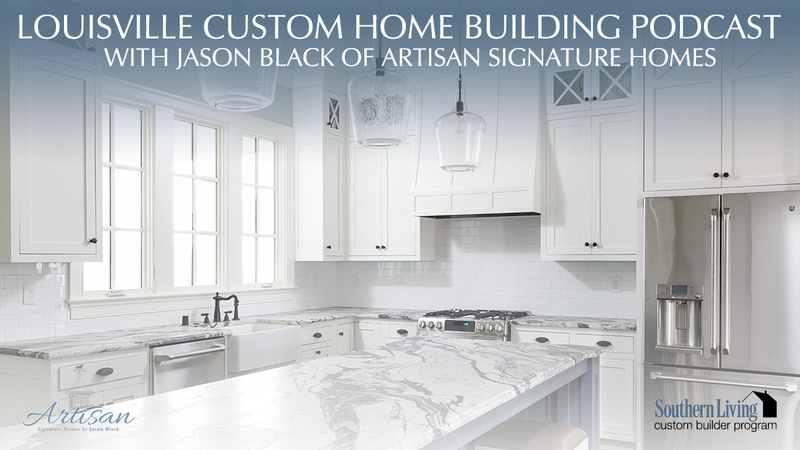 Jason: The modern-day appliance garage is the cabinetry that matches the custom cabinetry. It can be two doors that open out side by side, or a lift-up that slides over top. It’s on the countertop. It’s a way to have the toaster. We can have the microwave. You can put bread and all that right in there and sometimes we’ll even have two appliance garages. One for the microwave, and then one for the toaster and toaster oven. Greg: You have the microwave, for this example, it would be down on counter-height and there’d be a couple doors in front of it you can open up and slide to the side? Greg: I really am dating my house, aren’t I? Jason: I don’t even know if I’ve done a house with the microwave over the range. Typically, we’ll do a nice decorative hood instead of the microwave, so it’s always tricky finding a spot for that microwave. The appliance garage is a great spot for that. Jason: All right. Everybody’s trying to go green, so it’s always important to have a good recycling center, as well as a waste center. A standard kitchen for me is going to have at least two trash bins. One for waste and one for recycling, and sometimes we’ll have up to four. Greg: Is that two garbage, two recyclings, or is someone getting creative and doing a garbage, recycling, and a compost? Jason: You’re giving us too much credit. It’s typically two garbage, two recycling. We’re also doing a power-assist option nowadays where if you gently start opening your recycling center, the door will automatically push out, so instead of having to pull if your hands are dirty, give it a little touch, it pops out. Put your trash in and touch it and it automatically pulls back in. Greg: All right. This sounds wonderful. We’re making fun of my home, but I think after we do this podcast for a few more weeks or months, I’m going to be a client of yours. I need to move. Jason: Well, once you have a good kitchen, it’s the heart of the home. Greg: Yeah. No, I totally believe that. Jason: Okay, so we’re moving on. Number eight and this really is not directly affecting the cooking or the preparation of food, but I like built-in speakers as part of any kitchen design. Greg: To your point that the kitchen’s the heart of the home. You’re trying to make everyone comfortable in the kitchen. Jason: That’s right. That’s right. Put on your favorite tunes. With the technology nowadays, you can control most speaker systems with an iPad or iPhone and get your music of choice and prep away. Sometimes, kids are out playing, husband or wife’s not home. You can get in there, focus, and have a little time to yourself, and get the meals ready. Greg: With something that is technology-based like this, and with how quickly technology moves, how do you plan for technology in five years that we haven’t even thought about today. Is this mostly the wires and the speakers, and then the guts of the system are somewhere else? How do you plan that ahead of time? Jason: Yeah, so we can pre-wire for the future. A lot of these technology are actually moving towards wireless connectivity, so it makes it fool-proof. Greg: Okay. You have the components, and they can be almost anywhere. Because if it’s wireless, you either move it or install a new one. Jason: Yeah, as long as it’s connected through the Wi-Fi network, you can connect through most smartphones. Greg: Wow, okay. Very cool. Jason: Yeah. Another thing, we’re moving on. Item number nine. When you’re cooking, you always want accessibility to a cookbook or nowadays probably an iPad or iPhone, so open shelving or storage for those favorite family recipes is another must-have. Greg: Okay, so this where your collection of books and written-recipes and Grandma’s index card file or something like that would be. Jason: Yeah, so the end of island where you can have open cabinets to display your Joy of Cooking book or like you said, Grandma’s notecards. We have all of the above in our kitchen. Greg: You mentioned in an earlier podcast that you like to sit down and talk with people about how they use their kitchen. Is this one of the questions or one of the topics that would come up? Do you have a collection of cookbooks? Is it two books, like they don’t cook. I know some people just collect them, and if I can get one recipe out of a cookbook, it was a good purchase, so I have too many. Jason: Right, so we’ll have the clients that, they’re like, “Oh my gosh, yes. I’m glad you said that. I’ve got 50 books. I want to have them easily accessible. I don’t want to have them behind drawers or doors. I want to be able to grab them as my hands are full of flour and flip.” I’ll have others that, I don’t have a cookbook. I don’t want any books or anything. I want everything behind the doors. Yeah, it’s definitely part of the design process. Greg: Very cool. All right, so you have one more for us. Greg: They still have storage under them, yes? Jason: Yes, we’ll have storage in them. A lot of times, we’ll have maybe a warming drawer in there. We’ve got an under-counter fridge. It’s storage. It’s drawers. The infamous junk drawer in a house may be in the island. On the other side, we’ll have a spot for four, five, six bar stools. Greg: Oh wow. Okay, I’m trying to visualize this. This is a big, big island. Jason: Yeah, so a lot of islands we’ll do now are about four to five feet across. You can’t get too wide across because you like to make one slab of granite or marble without a seam. If you stay in that four to five feet wide by eight to ten feet long. Greg: Even ten feet’s pushing it, isn’t it? That’s a big slab of marble. Jason: Yeah. It is a big slab of granite, so you got to build a stout cabinet. Greg: I’ve been curious about that. Sometimes you see one with an overhang, so people can slide their chairs up. Jason: Yeah, so sometimes we’ll do bar stools with no backs, so when they’re slid underneath, you don’t even see them. Or we’ll do just a standard bar stool that’s counter-height that has a back on it. Jason: Sometimes we’ll put a small prep sink at one end of the island if somebody’s prepping and working through the other sink on the other side of the kitchen. You can have that small sink to rinse stuff or just have it there are you’re preparing. Greg: You’re saying that happens less now than it did before, so you’re going for the clean, one solid sheet all the way across. One level all the way across. Jason: Yep, so functional. There’s a good spot in there to bake and prepare. A lot of times I hear folks that the kids pull up and do their homework there as well. Greg: Yeah, well that’s how we use ours actually. There’s a little decorating. There’s a little functionality. I’m cooking dinner. The kids are on the other end doing … see, my home’s not that old. I do have an island. Let’s say some people who are listening here … I know you have a couple homes coming up. Where can people come see some, not yet, but in the spring maybe, see some examples of a kitchen that you design and build? Jason: We’ve got some great shows coming up that the listeners can come check us out. In the spring of 2016, we’re going to have a Southern Living showcase home in Norton Common. It’s going to be a beautiful home, fully decorated. It will be the only home on tour, and it will be an over 5,000 square foot home, so you’ll see a lot of the new latest and greatest features that we’ve been talking about. Also, in July, we’re participating in Homearama in Norton Common. We’ll have two furnished homes that hopefully again will have some of the latest and greatest kitchen designs included in them. Greg: Leading up to that, ideally, some pictures maybe being released somewhere. I’ve heard of the social media thing you’re into. Jason: Yeah, yeah. We’ll have a behind-the-scenes with our Instagram account. You can check our Facebook page out as well and we’ll be posting sneak peeks and you can follow the process all on the way, and we’ll probably even do a walking tour of one of these houses before the show starts, so people can see behind-the-scenes what it takes to build a show house. Greg: Maybe on YouTube or something? Is what you’re talking about? Maybe a video or release pictures or anything and everything? Jason: No. We’re going to invite the listeners and the public to tour our homes while they’re under construction. We’ll have a date coming up sometime in the winter, late winter, where folks can come through and actually see the house before it’s all pretty and glammed up. Greg: That sounds wonderful. I appreciate your time today. I think that that’s it for the ten things we need to think about when we’re building a new kitchen. I know I said that maybe in a future episode, we’ll talk about outdoor kitchens. Next week, what do you say we get together and talk about just for the whole process. How the process works for a buyer when they come to you or a new client and what someone needs to go through to get ready to build a house with you. Is that all right? Jason: No, I think it’s good. We can give them some tips on the more prepared they are, the better the building and design process will go for them. Greg: I have no doubt. I look forward to it. I’ll see you next week.